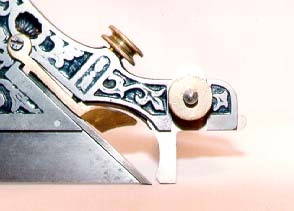 This is the first model of the #141 Millers Patent Plane. Incorporated in this series of planes is the patent improvement that allows this plane to convert to a bullnose plow. The plane shipped with two nose pieces and 11 cutters, 9 standard cutters plus filletster and slitting cutters. The removeable nose piece was designed and patented by Justas Trout. This first model is japanned with the filligree slightly shallower than it is on the standard models. The basic components follow the same type dating used on the standard line of planes, a type 7 #41 would be its equal. Looking at the images of this plane it would be easy to confuse it with a number 41. 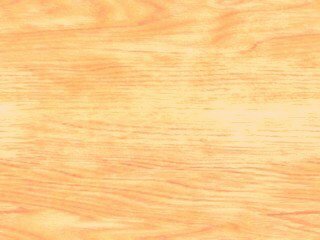 The way to tell is by looking at the nose of the frame, it is slightly shorter which allows the standard removeable skate piece to extend beyond it about 1/2 inch. It gives the appearance of three "steps" at the front of the plane. Here you can see the bullnose piece installed on the plane and ready for work. It was designed to work into the end of a stopped dado. 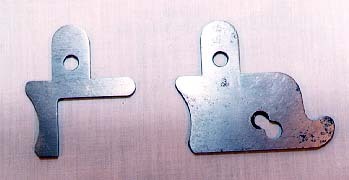 The bullnose piece is usually missing on most examples found, finding a plane with one is definitely desireable Here is a good side by side comparison of the bullnose piece (left) and the standard nose piece. The slot in the nose piece is for accepting the mounting screw of the filletster bed. The filletster bed could not be used with the bullnose piece in place.